Posted on Friday, August 3rd, 2012 at 8:53 am by Pieter van der Westhuizen. Microsoft PowerPoint is a long-time member of the Microsoft Office family of products, and you’ve probably seen a fair share of PowerPoint presentations. 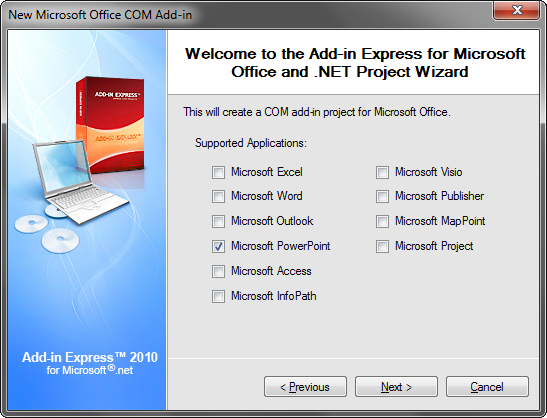 Although PowerPoint has been part of Microsoft Office since 1990, we’ve never really written any articles on writing add-ins for it using Add-in Express. 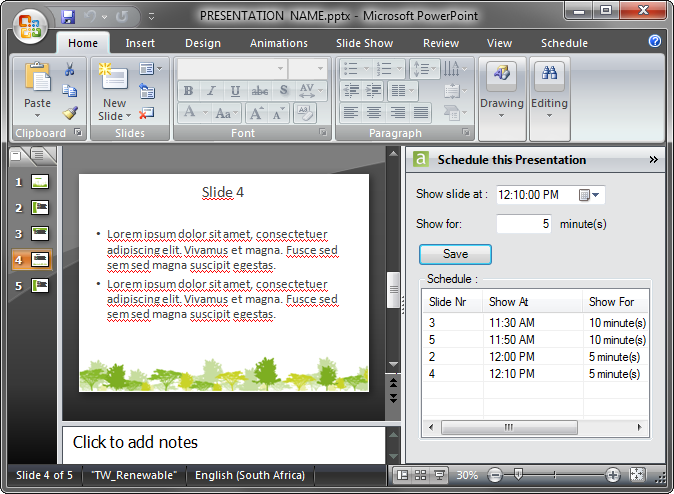 So let’s get started and create a smart plugin that will work in PowerPoint 2010 and 2007. 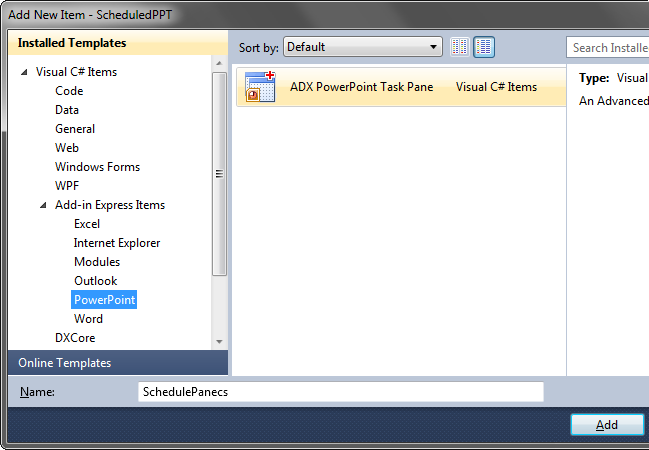 Create a new PowerPoint COM Add-in project in Visual Studio 2010 using Add-in Express for Office and .net. 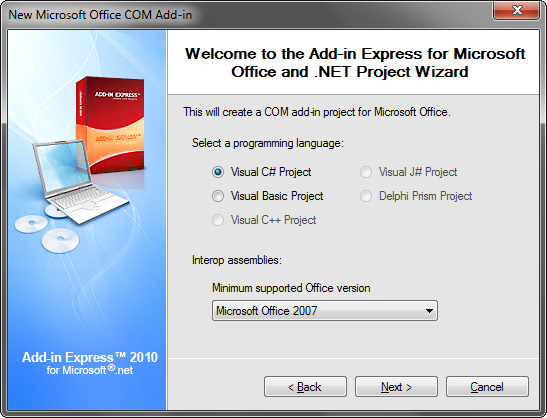 Select Visual C# as our programming language (VB.NET and C++ are also supported) and Microsoft Office 2007 as the minimum supported Office version. Next, when prompted, select Microsoft PowerPoint as the only supported application. 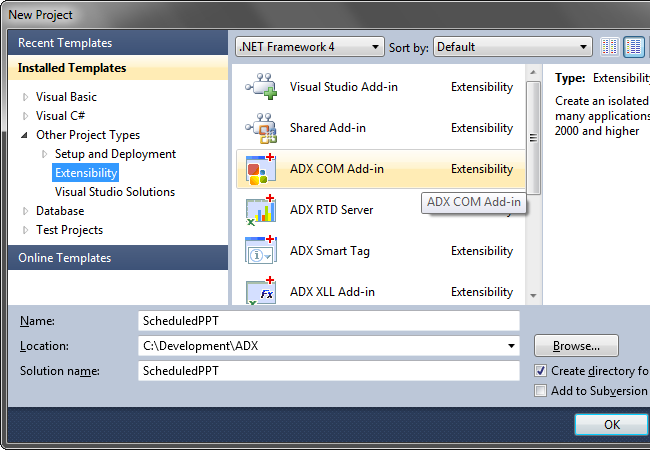 Add a new ADX PowerPoint Task Pane item to our project by selecting Add New Item from the Visual Studio Project menu, once the wizard was completed. In this way, our custom PowerPoint task pane will show up in the right side of the window and it will have a standard header. Next, add a new class called SlideSchedule.cs to the project. The code above adds the current slide’s index and schedule information to a public variable called “Schedule”, which we’ve declared in our AddinModule class. 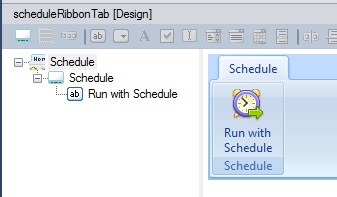 Next, switch to the AddinModule designer and add two Timer controls called timerSlide and timerSchedule. 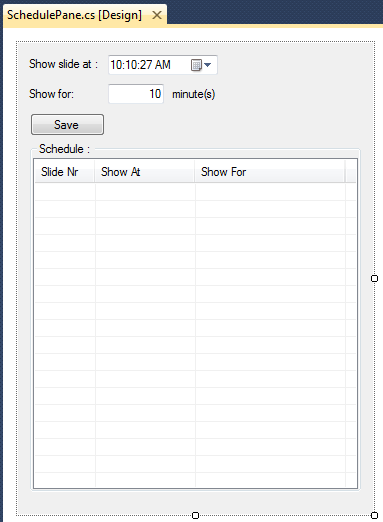 The timerSchedule timer will run and check which slides have been scheduled and will then display the slides as required. There you go, the user can now open his PowerPoint presentation, select each slide and specify when and for how long each slide should run. Dear Pieter van der Westhuizen! I amd coding to create slideshow of powerpoint in C#. I want to some slides (example: slide 1, 3, 5 are loop) that will be “loopuntilstoped”. How do I code? Build the sequence of slides in a similar manner as I’ve done in this example. You could then write some logic to automatically go back to the first slide as soon as the last slide in the sequence is shown. So you could use the example in this blog post as is, but at the end, don’t stop the timer and then call the slideShowView.GotoSlide method again and set it to slide number of the first slide. I’m found this while trying to figure out how to create a scheduled sync action for an outlook plugin. Could these timers be used for that purpose? Also on the step “Next, switch to the AddinModule designer and add two Timer controls called timerSlide and timerSchedule.” I am confused because I cannot find how to add the Timer controls. If you use Add-in Express, then right-click AddinModule.cs or AddinModule.vb in your project and choose View Designer on the context menu. This opens the add-in module designer. Then open the Toolbox, see menu View | Toolbox in the IDE. In the Toolbox, expand the Components section. Alternatively, you can expand the All Windows Forms. Find the Timer entry and double-click it. This creates a new Timer component on the designer. Click the component just added and set its properties as required, see the Properties window. Thank you for the help Andrei! I was able to complete my project using this information.